Hubcaps and steel rims? And in white, too? This isn't your typical Mercedes-Benz sedan--at least not in the local sense. It is assumed that when one owns a Merc, the reason is to stand out in a sea of mundane metal. If you are going to own a Mercedes-Benz, you might as well go all out with flashy accessories and bring on the bling--as if the three-pointed badge wasn't enough. Hey, I love the AMG light-alloy rims as much as the next guy, but when I came face to face with this 'bare' C180, I didn't find it lacking. In fact, in this guise, it's actually quite handsome--a far cry from some Benzes that border on the garish side of the style spectrum. 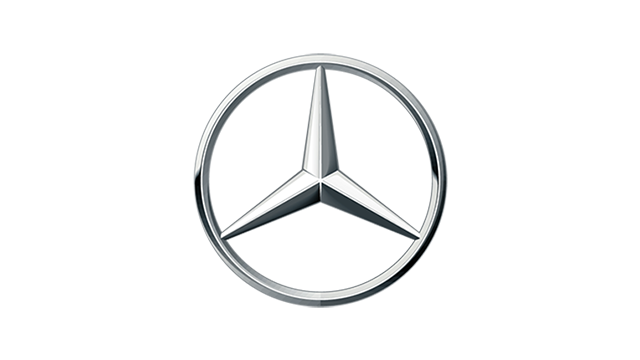 Take a trip to Germany and almost all Mercs look like what you see on this page. It is rare to come across plenty of chrome and added exterior whatnot in Mercedes' land of origin--proof that aesthetic sensibilities differ from one country to another. But bare this C180 is definitely not. It may look plain on the outside, but it still has all of the necessary equipment that comes standard--including a few surprises. Bluetooth connectivity is one of the highlights. Who would have thought that a proper and hassle-free exchange can actually exist between your cellular and the car? Hooking up the phone was as simple as punching in a PIN code, and the hands-free operation is a convenience that all cars should not be without. The ease of use is courtesy of the Command APS controller (much like BMW's iDrive--only much simpler and more intuitive to use). It is located at your fingertips and gives you access to all in-car functions. Getting the hang of it only takes a matter of minutes as you do not need a complex instruction booklet to figure it out. Under the hood lies a very enthusiastic 1.8-liter in-line-four. It may not have the pull and grunt found on the C350, but it delivers very good figures at the pump. Focus on the handling and you will be surprised at the agility. An electronic stability program is standard fare, and you can switch it off via a button on the dash if you don't want the computer to meddle with your fun. The Parktronic parking aid also comes in handy (it detects obstacles near the front and rear ends), but pedestrians can set it off when they walk past you. If you are stuck in EDSA gridlock, expect the system to fire off like crazy. At least, you know when other motorists are getting too close. In effect, what you get from the C180 is the very definition of understated style--something that we need more of on our streets. It is a good thing that this car was released to fill a niche that doesn't put emphasis on those chrome rims and tacky bolt-ons. CATS Motors, the official distributor of Mercedes in the Philippines, brought a handful of these plain-jane Benzes into the country a few months ago, and the units are moving quickly. Of course, setting the C180 up to look like an AMG is as simple as ordering the necessary exterior bits. But you wouldn't want to do that, would you? Especially not if you are already pleased with the tight and clean package. Click this link to see the entire lineup of the Mercedes-Benz C-Class available in the Philippines.